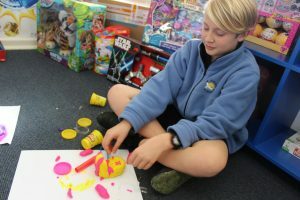 Children at Torbay School experience a varied and stimulating Arts program. All children participate in music, dance and drama activities integrated into their classroom learning. 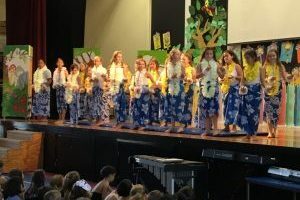 Students are encouraged to experiment, create and perform informally in all disciplines, and through these activities children develop an understanding of the basic elements of music, dance and drama. 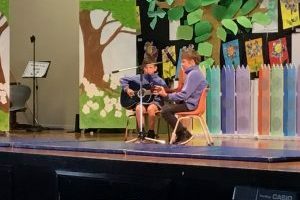 In addition to class learning, children from Years 4-6 also have the opportunity to participate in small group lessons for guitar, clarinet, trumpet, flute, and percussion kit when specialist tutors visit the school weekly. A showcase for Torbay school talent is the art exhibition, and school wide production. 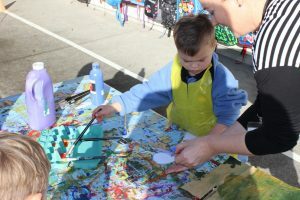 Visual Art is part of the daily curriculum. We have an ‘Arts’ specialist teacher who works with each class 6 sessions a term. Children also have opportunities to be extended through the GATE programme. This is evident in the many colourful murals around the school, mosaics completed by every student attending Torbay and the wonderful paintings in the school office.